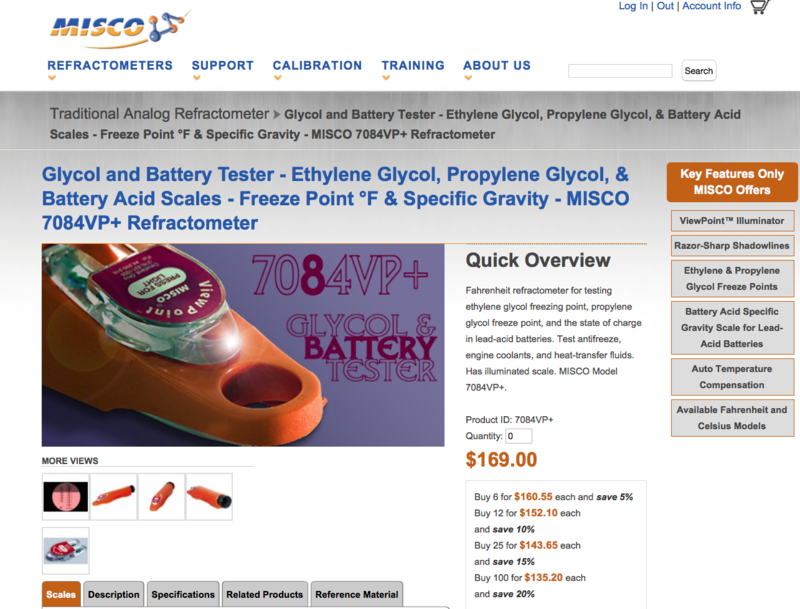 looking for a meter that has a direct read out from the sample of ethanol or glychol in a closed loop system to be sure the mix is set cold enough. I have been looking but can not find one. it maybe called a refractometer but someone told me they had one that was digital he using on boilers for measuring after he adds antifreeze. I was not quick enough to ask any questions + he is not longer in our area. The meter for glycols typical read propylene or ethylene glycol. I don't think the same meter would read ethanol or methanol type GEO fluids. If it's for glycol, the reflectometers are a good way to go. I prefer the readout to the "floating" ball type checkers. Here is the brand I use. Shop around for prices, it's sold under other brands.